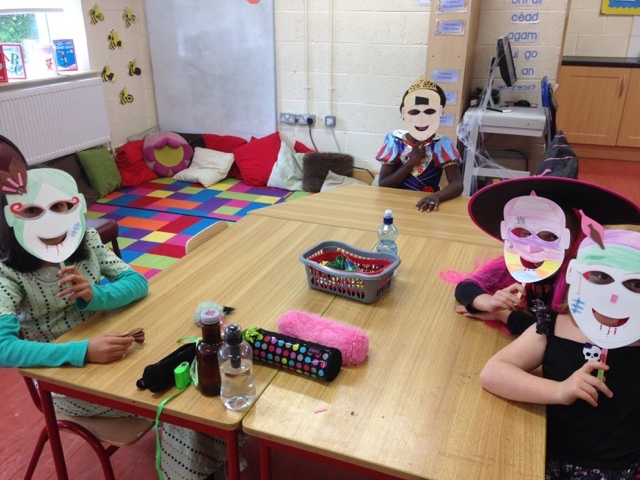 Today we had our Halloween party AND our compliment bug party since our class received 10 bugs for great behaviour and work! 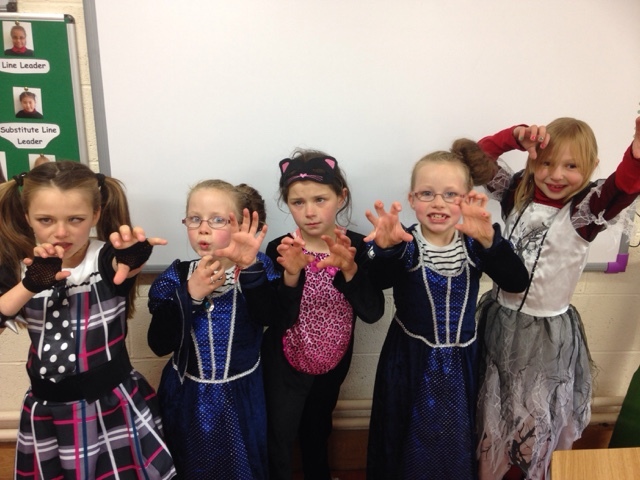 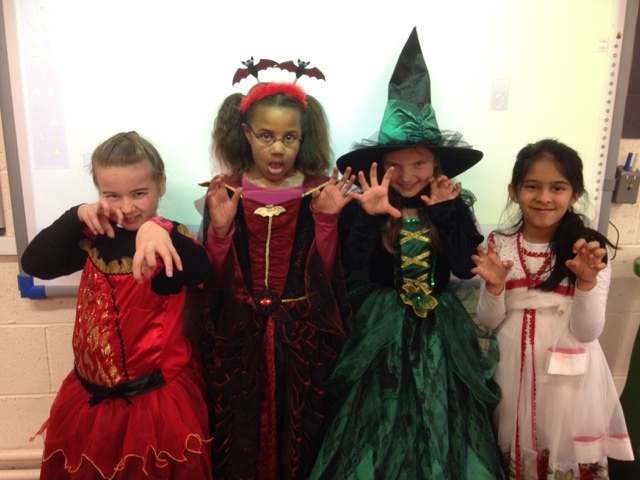 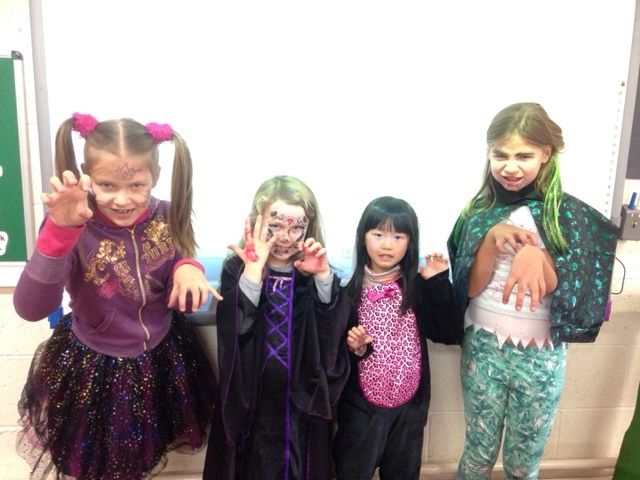 Check out our spooktacular costumes! 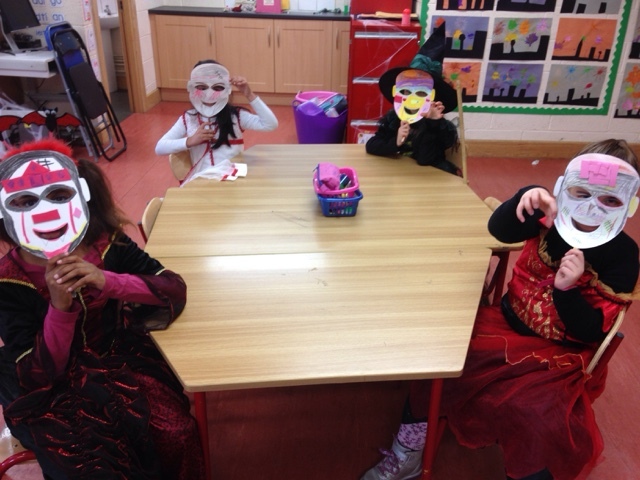 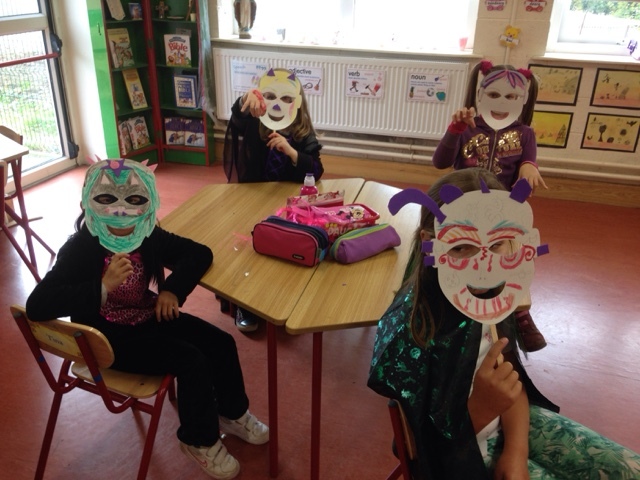 We designed Halloween masks as well today, can you guess who's who? 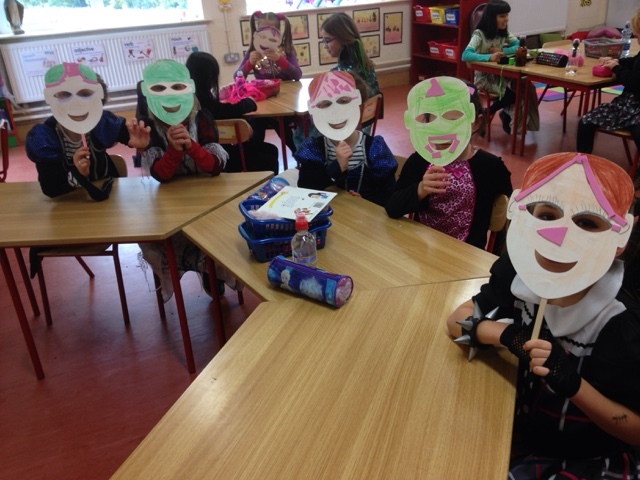 This morning we also had a Cheerios Childline breakfast which the kids really enjoyed. 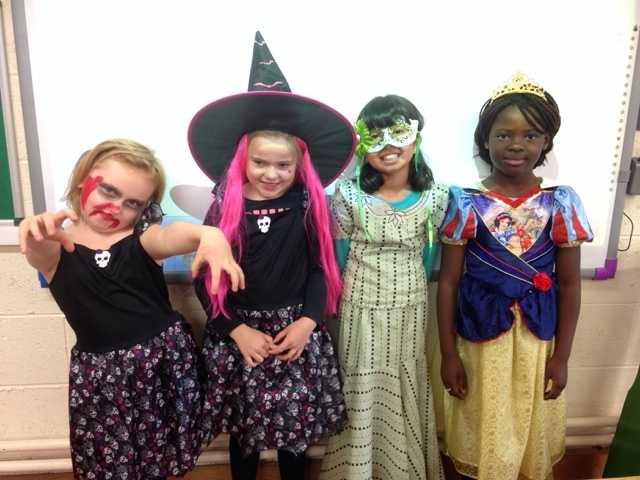 Thanks to parents for their donations to Childline, it's a fantastic cause!